​Atlas API Training presently provides both online and onsite preparation courses for API 510, API 570, API 1169, API 653, API 580 & AWS CWI Certified Welding Inspector. Atlas offers online training for PT, MT, and Introduction to Quality Control. We are presently developing API 936, additional NDT, Basic Geology, Advanced Geology, Process Heaters, and Basic Pipeline Inspection Courses. 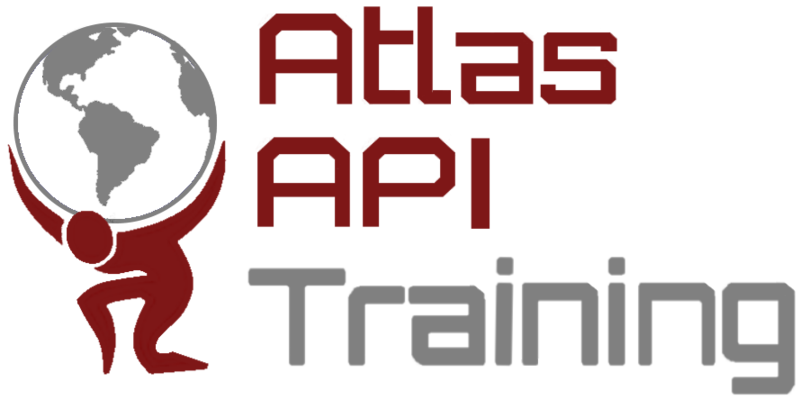 Atlas API Training courses will save you time and money whether you are preparing for an exam or seeking professional development hours. Our course are all online and can be taken anywhere at any time. All of our API classes (present and upcoming) are exam preparation courses. They also provide professional development hours for engineers and CWI 9 year renewals as well. We are presently developing NDT certification classes. Our Basic Geology, Advanced Geology, Process Heater Fundamentals, Introduction to Quality Control, and Introduction to the Oilfield Course are academic courses that are also being produced at this time. A certificate of completion is provided on request upon completion of any of our courses. Our instructors are industry professionals and are not just academic instructors. At Atlas we feel that this experience is needed to deliver a quality course. Our goal is to deliver the very best product, at the best price, and in the most convenient way possible.